— Alden Ehrenreich, a 20-year-old American actor who, as coincidence would have it, was in Seattle exactly a year ago with Francis Ford Coppola for the SIFF world premiere of Coppola’s “Tetro,” in which Ehrenreich played a leading role. Nice kid, as I recall; though not a lot of movie experience. — Andrew Garfield, born in the U.S. but raised in England and mostly known for British films and television. Terrific as the reporter in the “Red Riding” crime-thriller trilogy, but I can’t quite picture him slinging webs. 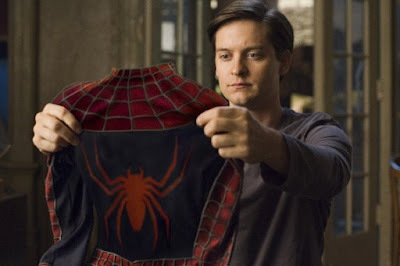 Possibly a little old to play a teen — he’s 27 — but Tobey Maguire was about that age for the first “Spider-Man,” and was perfectly convincing. Hmm. I like the idea of Bell, an actor who’s broken my heart (on screen, mind you) many times already, and he’s got a wiry, charmingly gawky quality that would blend well with Maguire’s portrayal. Not so sure about the others. Still wondering about Joseph Gordon-Levitt — who may be a hair too old, but he’d be great — and the oft-rumored Logan Lerman (who was disappointingly personality-free in the “Percy Jackson” movie). Any other ideas?